The warmer days of summer aren’t over yet, but autumn is on its way. While soaking up as much of the sun as possible before the cooler weather arrives, don’t forget to prep your home for fall. With fall right around the corner, you’ll want to start getting ready now. You only have a few weeks left to take on everything involved in prepping your home for fall. Read on for six ways to get ready for the next season. Your fireplace has likely been sitting dormant for several months. Take care of your fireplace maintenance now so your fireplace and chimney are ready for all of those fall fires. Many places offer discounts for these services in the summertime since they’ll be far busier during the peak seasons of fall and winter. Have a professional inspector perform a chimney inspection first, and then make an appointment for a chimney cleaning if it is recommended by the inspector. 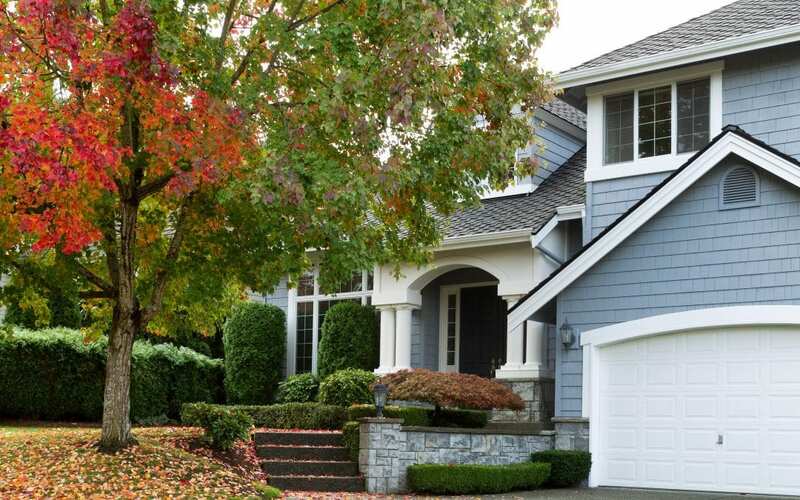 This is the safe and responsible way to prep your home for fall. When in the mindset to prep your home for fall, don’t forget to start collecting your firewood. You’ll be happy you starting collecting firewood while the weather is still warm outside. When fall brings its cold fronts, you’ll be well prepared. No one wants to experience trying to fix a broken boiler or furnace when you’re desperate for a warm home. Check your filters on the furnace to make sure you and your home will be properly taken care of in the cooler months. Having your HVAC serviced by a technician before using the furnace is a good idea. Get ready now for the colder nights that fall will bring. Take out the warmer comforters and blankets so you can have them washed and ready for when the cooler weather arrives. As you get your bedding ready, don’t forget to take down any summer decor you have laying around. It’s time for earthy tones of yellow, brown, and orange and home accents of pinecones and leaves. There are several landscaping chores that must be done in the fall to see results in the spring, such as planting flower bulbs and grass seed. Planting grass seed approximately 45 days before your first frost is a good rule of thumb. Fertilize the grass seed for a better lawn come spring. Fall signals the start of fallen leaves, snow, and ice. Don’t wait until later to get your cold-weather tools ready. Organize your tool shed and toolbox now to make sure you have everything you need when the time comes. Prepping your home for fall starts now. Use these six tips to make sure you’re ready to welcome the next season. First Choice Home Inspectors provides home inspection services, including chimney inspections, to Middle Tennessee to help prep your home for fall. Contact us to schedule an appointment.